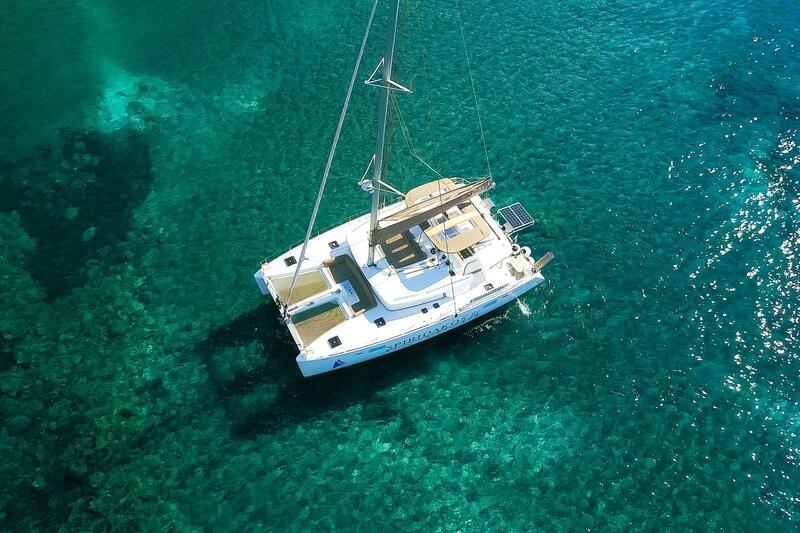 A Multi Day Sailing Cruise consisting of Three days of Catamaran sailing. Sail from Santorini Island aboard this 3 day Sailing Cruise and explore the Southern Cyclades islands of Irakleia, Sxoinousa and Koufonisia. Cross the Red and White beaches and the Caldera Coastline. Swim at the Hot Springs, sail pass Oia and Thirassia island and visit all picturesque locations Santorini is famous for. Our first stop is at the Cycladic island of Irakleia, a notably tiny and remote island, ideal as a destination for deep relaxation. This island remains completely stranded from mass tourism as well as campers. Finally, the Sailing Cruise day ends at the port where you can seek and explore the island’s beauties. Most noteworthy, the Cave of Saint Ioannis, the Livadio Castle and the traditional villages of Irakleia. While at Irakleia keep an eye for the Cave of Agios Ioannis, an amazing archaeological sight of modern day and age. Similarly, the second day’s Sailing Cruise destination is Sxoinousa Island. An island most noteworthy known for its virgin landscapes and 15 unique beaches. A relaxing and captivating atmosphere which impresses the visitors of Sxoinousa together with its wild landscape. Furthermore, enjoy the local tastes and productions Sxoinousa offers you. Finally, capture some nice landscape captions before leaving the island. For our last stop, we sail and visit the island complex of Koufonisia. Most noteworthy, the Koufonisia islands have amazing and remote beaches, ideal for relaxation. While on the shore, you can walk around the Roman City with its capsular tombs of archaeological interest. Furthermore, discover the history Koufonisia hides in its gastronomy. Additionally, swim at Glaronisi beach of Koufonisia, one of the best cycladic beaches someone can swim at. Lastly, photo capture the amazing landscapes, ideal for moments of peace and meditation and natural observation.